CCOC is on a mission. Welcome to the NEW Clayton Chamber of Commerce. Learn who we are, what we do, and why we do it by joining us at one of our upcoming Chamber U: Orientation seminars. Join CCOC's for our Third Annual Reverse Raffle and Cuisine of Clayton with a chance to win $10,000 at a fun interactive raffle and auction event. Start your morning off in Clayton by sharing your business news, giving your 20-second commercial to the group, and leaving with new contacts and deeper relationships. This morning networking event includes breakfast and is held at the Clayton Chamber of Commerce. Enjoy food & drinks, mix and mingle with old and new friends, meet new investors (members), and enjoy great prizes at CCOC's B.A.S.H. (which stands for Business Associates Social Hour). This evening networking event is held monthly at various locations. Spend one hour in the morning learning a new skill to improve your business in 2019. These monthly professional development and business training seminars are held at the Clayton Chamber of Commerce (typically the last Monday of each month). Thank you for investing in Clayton, NC! DO YOU KNOW A BUSINESS THAT DESERVES RECOGNITION? Nominate a business of the month. Located just outside of Raleigh, North Carolina and the Research Triangle Park (RTP), Clayton is the largest town in Johnston County with a population just over 20,000. Affordable housing options, great schools, diverse arts, and recreation options make Clayton the perfect place to live if you are looking to work within one of Clayton's own expanding business sectors (manufacturing, bio-pharmaceutical, health care, etc.). And Clayton's proximity to the future Southeast Extension of the Triangle Expressway (I-540) make Clayton a first choice if you plan to work in the nearby RTP area. Clayton's best asset, however, will never show up in the numbers. What makes Clayton a true gem is its small town heart and wonderful sense of community. Click to view and download to zoom. 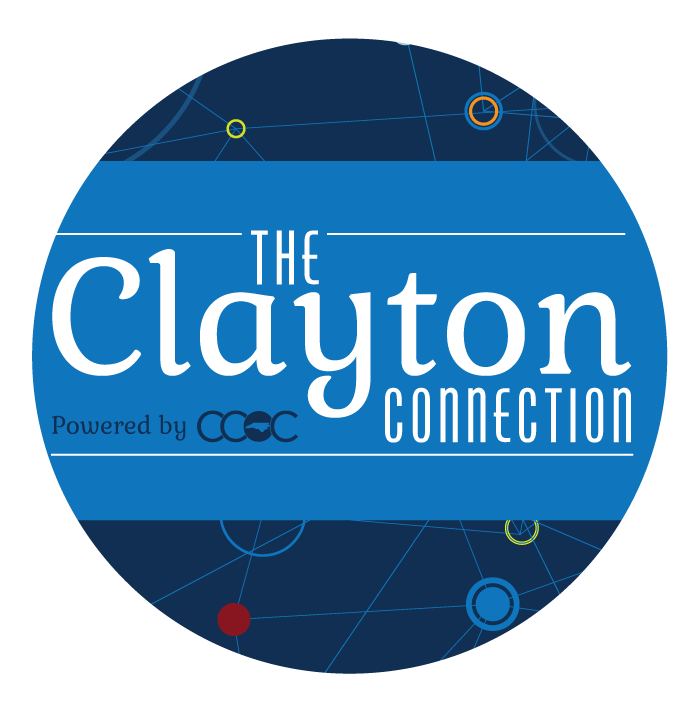 Download the award-winning The Clayton Connection app with area guidebooks to see what is going on in and around Clayton.